Remember the famous saying “Laughter Is The Best Medicine”? When was the last time you had a good laugh? 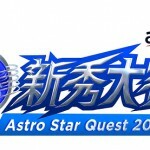 With all the bad news that have befallen Malaysia, it has been a while since we, Malaysians come together in unity and have a real good laugh. 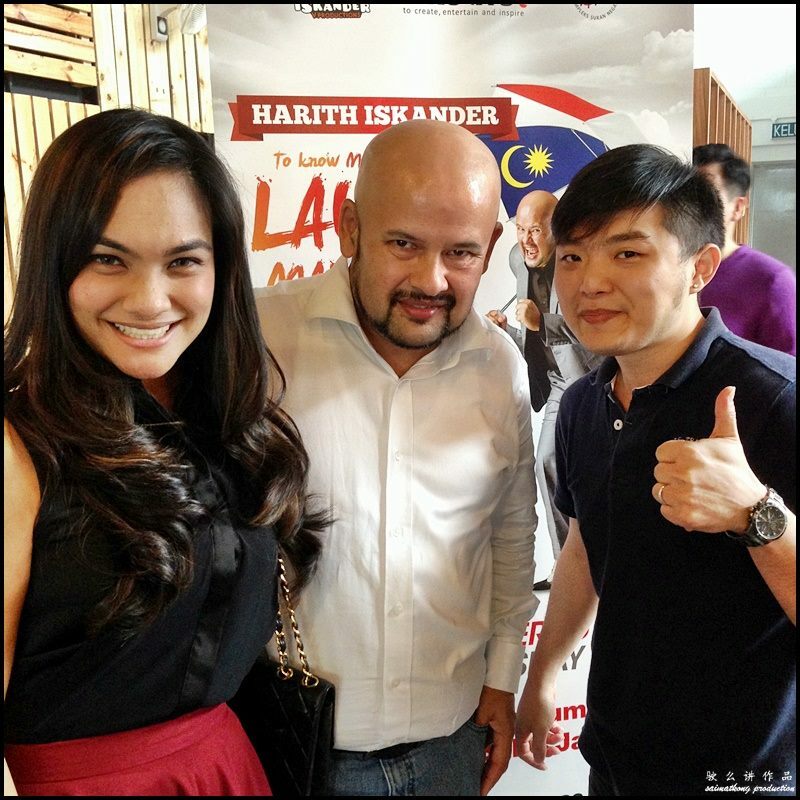 Recently, I was invited by Nuffnang to attend a Bloggers Gathering with Harith Iskander for his upcoming “To Know Malaysia Is To Laugh Malaysia” stand-up comedy show at Stadium Putra Bukit Jalil. 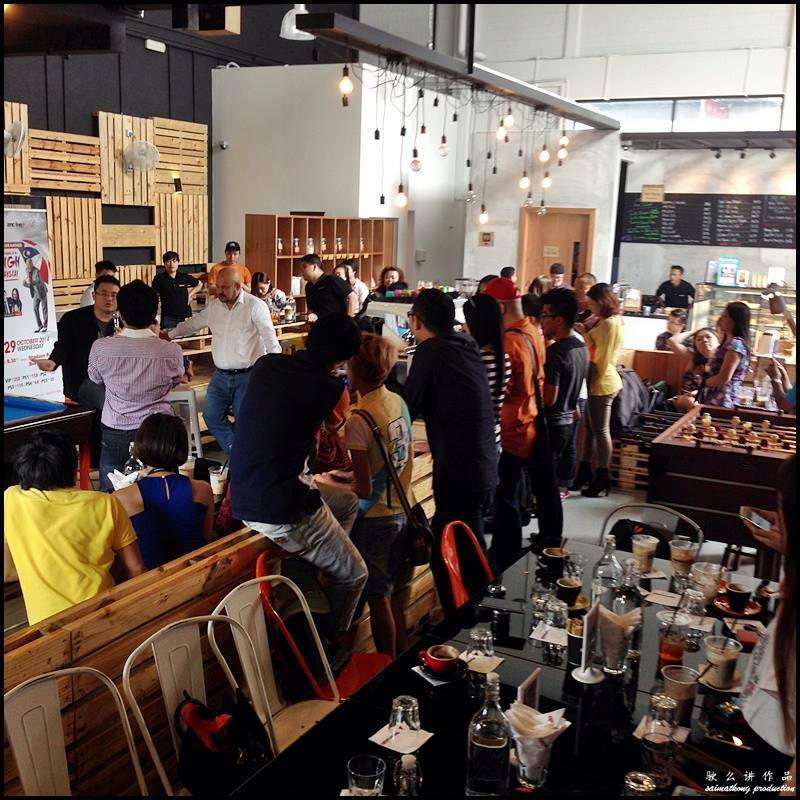 This gathering of 50 bloggers and more was made possible with the effort by VersaComm Sdn Bhd, the official Public Relations team of Laugh Malaysia. 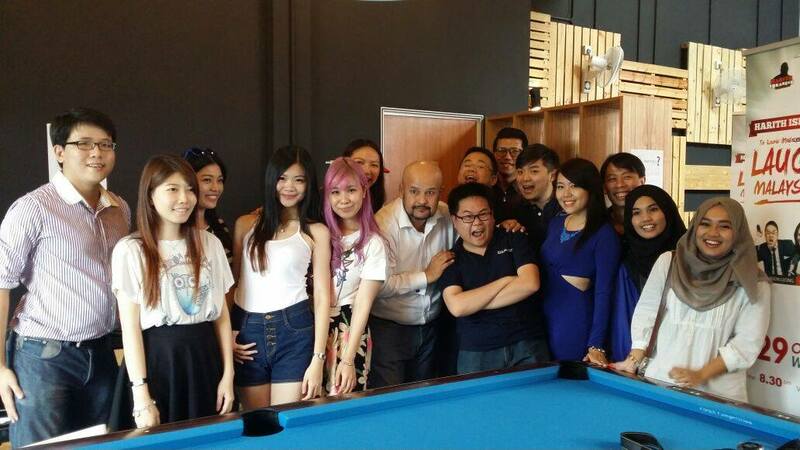 The Bloggers Meet Up and Gathering Session with Harith Iskander was held at No. 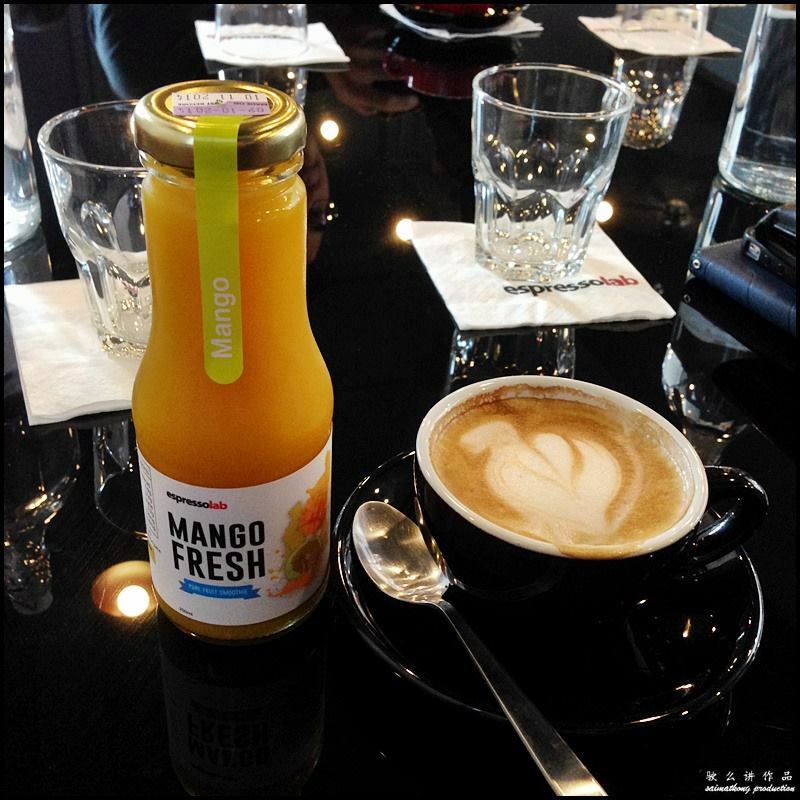 11 Espresso Lab, Sunway Damansara. 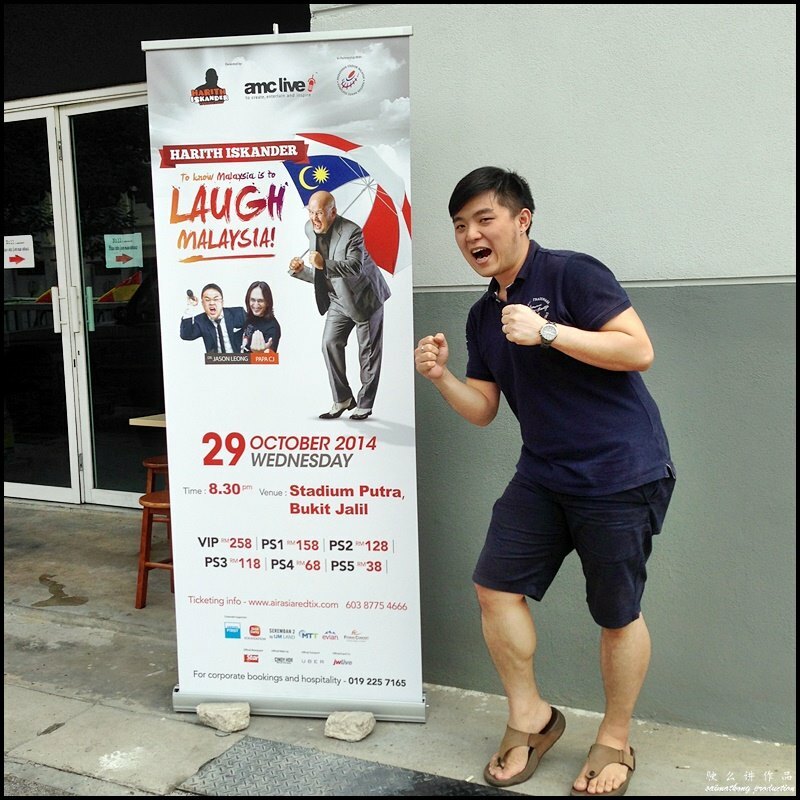 Posing with “To know Malaysia is to Laugh Malaysia” poster. 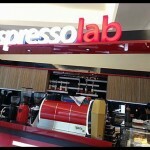 It’s my first time at this Espressolab and the place looks real nice and spacious. There’s free flow of coffee and finger food from Burger Junkyard for us 🙂 Ordered a cuppa hot Latte for myself and Mango Fresh Juice for the preggy wife. Ever since the wife got pregnant, she rarely wanna follow me to event anymore but when she knows we’re meeting Harith Iskander, she immediately say yes. Since I was there early, I quickly take a picture with Harith Iskander, also known as The Godfather of Stand-up Comedy in Malaysia. 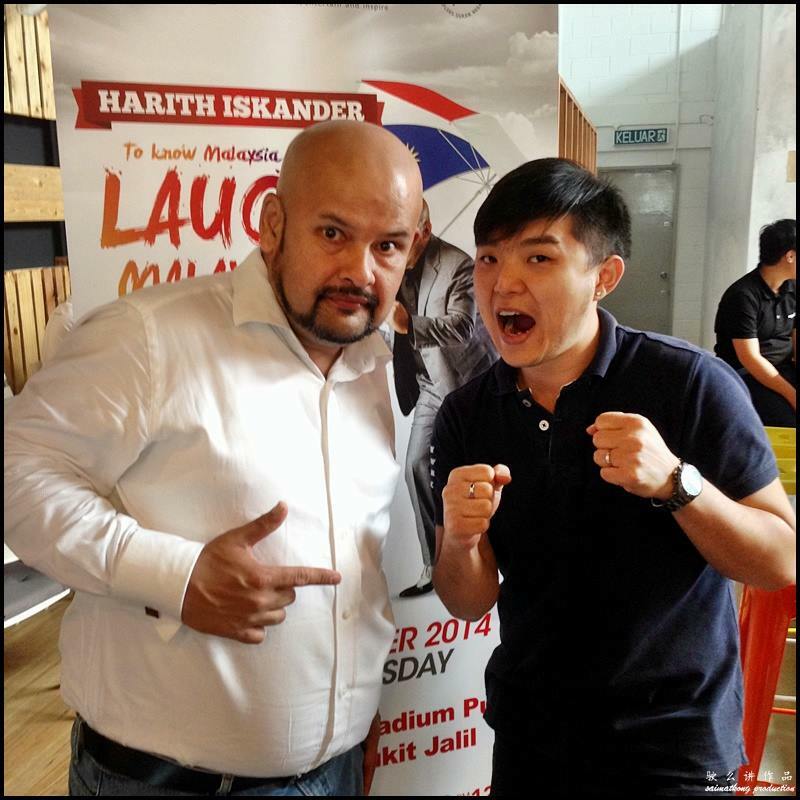 He has previously travelled to six asian countries – Singapore , Indonesia, India, Australia, Hong Kong and South Korea on his “The Godfather of Malaysian Comedy International Tour 2014” to promote Malaysian comedy on an international level. 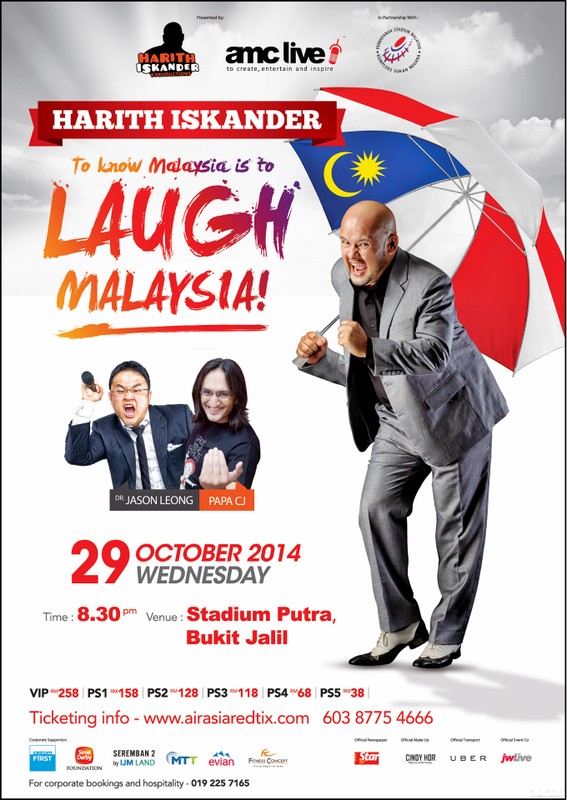 And now we’re very lucky coz Harith will perform for one day in Malaysia at 8.30pm on October 29 at Putra Indoor Stadium, Bukit Jalil. Another photo with my favorite comedian, Harith Iskander. I think he’s really funny, spontaneous and engaging. Photo with Dr Jason Leong and Harith Iskander. If you don’t know yet, ‘To know Malaysia is to Laugh Malaysia’ will also feature Dr Jason, as well as special guest Papa CJ, a world renowned Indian stand-up comedian. Harith Iskander speaking. 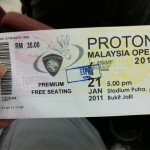 He spoke about wanting to bring Malaysians together through laughter. 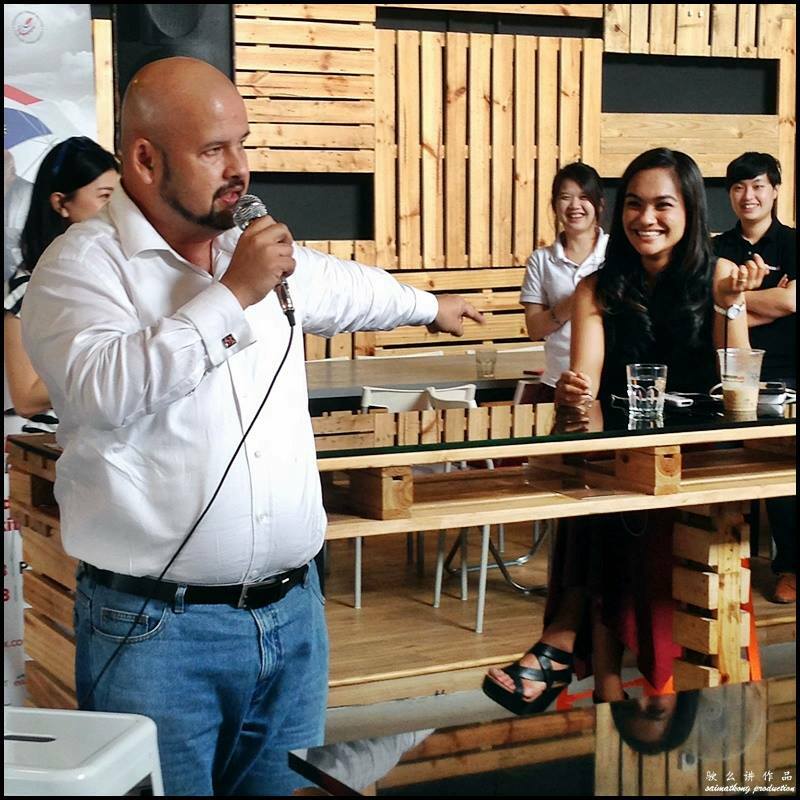 Harith said: “My vision for Malaysians is to come together for one night under one roof to display the strength of who we are and what we stand for as Malaysians – Unity, Moderation and Oneness. 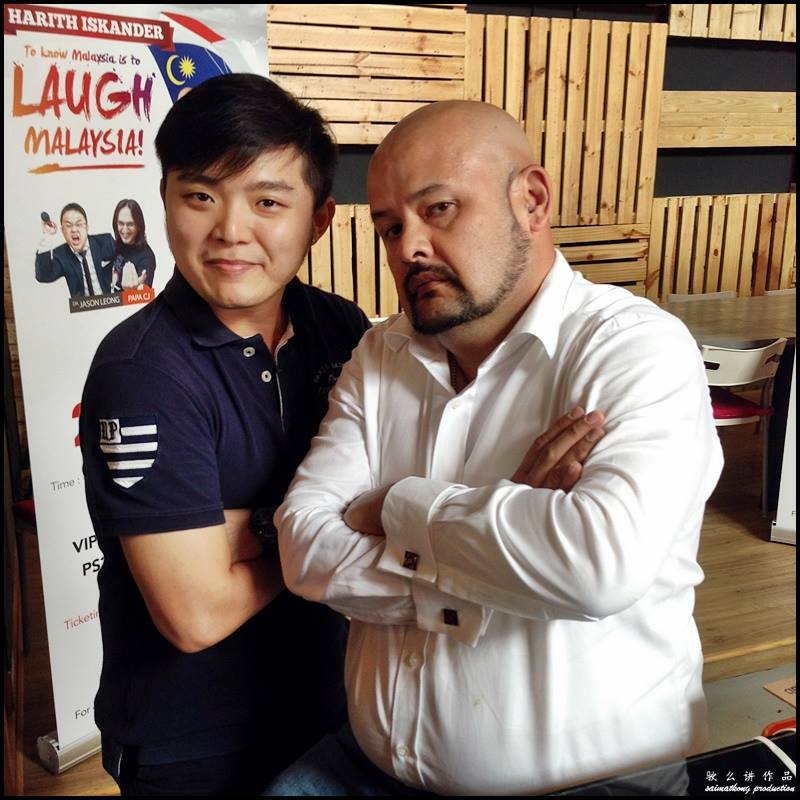 It’s time for Malaysians to turn DISTRESS into DE-stress.” By the way, Harith also mentioned that the topics for “To know Malaysia is to Laugh Malaysia” will be a mixture of his daily observations about what makes Malaysia ‘tick’ and the jokes will be told in the indomitable and distinctive Harith Iskander style! Everyone gathered around closer to hear both Harith and Dr Jason speak. 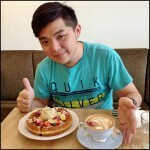 This is Dr Jason Leong, a doctor by profession but his real passion is comedy. He may be quite new in this comedy line, but he’s seriously quite good. Now who says doctors don’t have a sense of humor? I won’t reveal so much anymore, you really gotta hear him perform yourself! This is the part where Harith introduced his lovely wife, Dr Jezamine Lim to us. I managed to take a photo with Harith and his beautiful wife. As both Harith and his wife, Dr Jezamine are ambassadors of OrphanCARE, percentage of profits from the ticket sales will be channelled to OrphanCARE, a charitable NGO that strives to place abandoned children in homes with loving families. 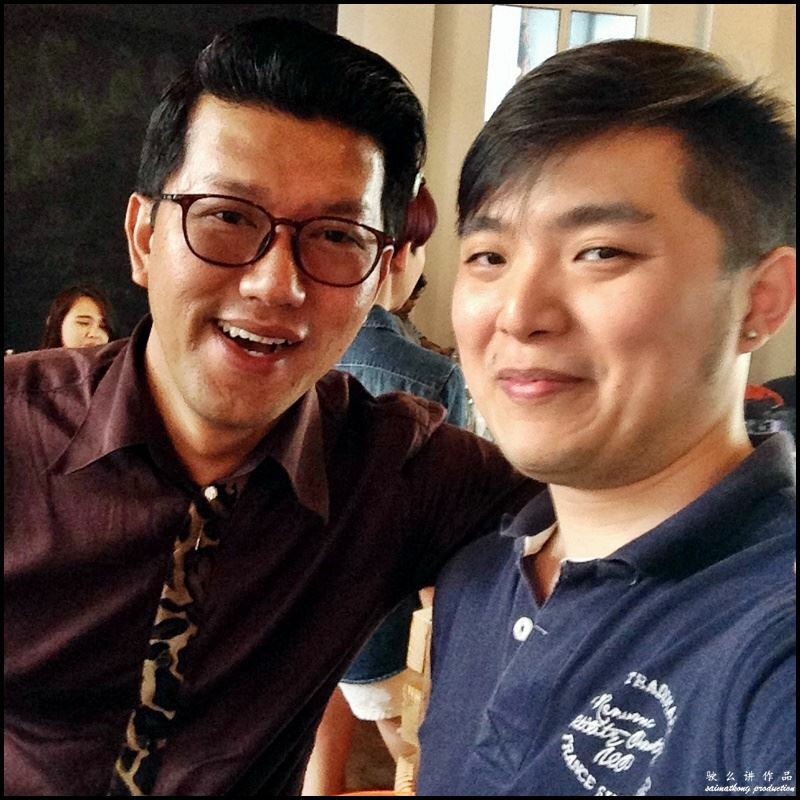 Dr Jason Leong & Harith Iskander posing for pictures. 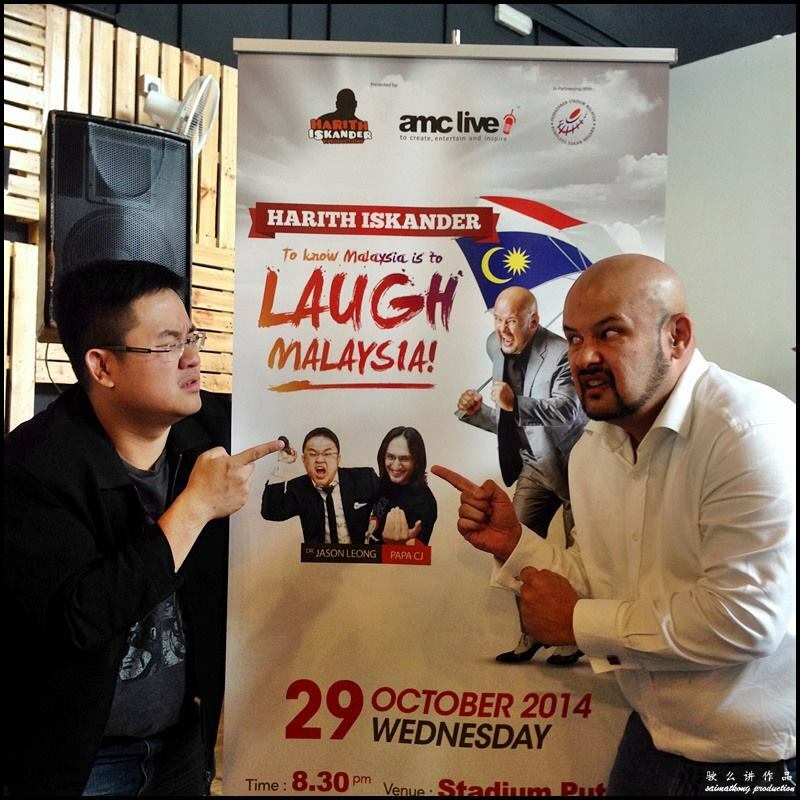 To Know Malaysia Is To Laugh Malaysia is presented by Harith Iskander V Day Productions & AMC Live Group, in partnership with Perbadanan Stadium Malaysia. Also supporting this event under the LAUGH MALAYSIA Umbrella are big hearted Malaysian corporations namely Celcom First, Sime Darby Foundation, Seremban 2, MTT Priority and Pemandu. 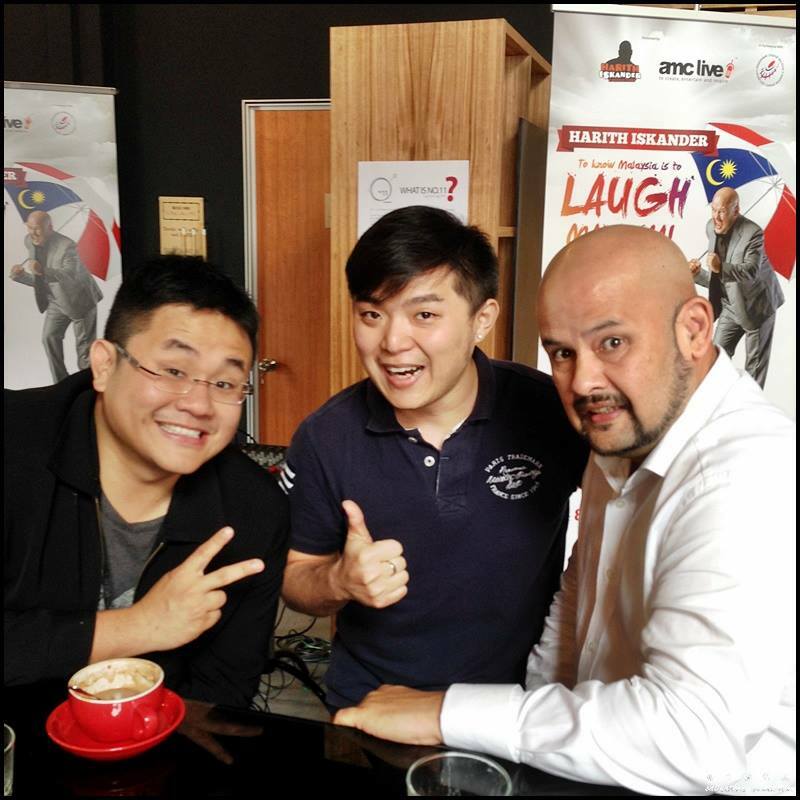 Are you ready to LOL with Harith Iskander & Dr Jason Leong, cause I am! p.s. You gotta get your tickets fast coz it’ll be sold out real fast! View more photo @ Here.